Irish Rebel Song- Written by F.O' Donovan This song was written during world war two. The Wolfe Tones have been singing it for donkey's years. The video is from 'The Wolfe Tones' at Ford Siamsa Caoi Laoi 1995 Cork City. Also recorded by Charlie And The Bhoys from Scotland, and The High Kings. 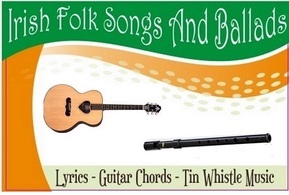 The sheet music and tin whistle notes are included. 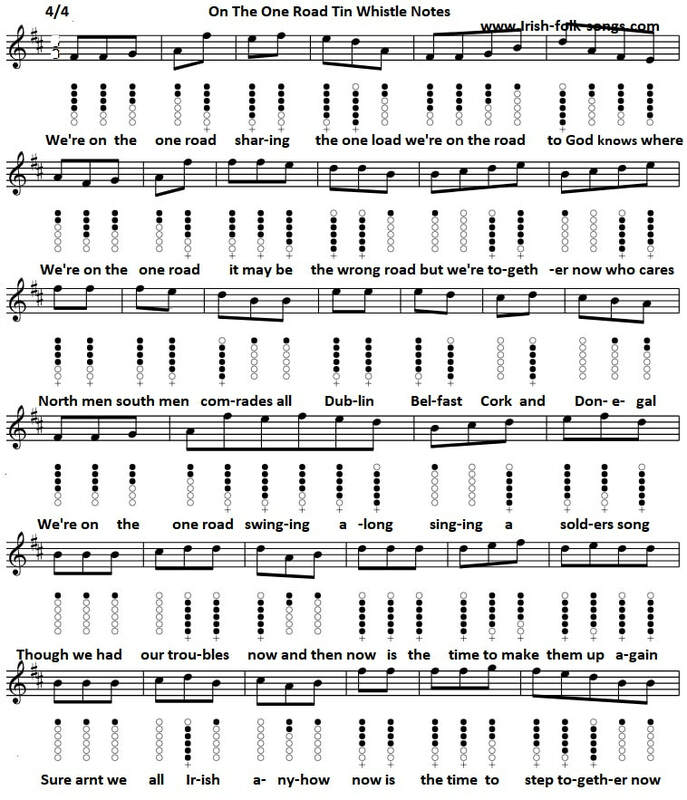 We're on the[G] one road swinging[Am] along,singing a [A]soldier's[D] song. [D]Now is the time to[D] step together now. Jean-Baptiste Meynard kindly provided the whistle notes and the youtube video. The bold text is the hight notes.